Dunlop Series Championship leader Jack Le Brocq has trumped the field of additional drivers in the day’s first Supercars session at Queensland Raceway. Ahead of the two practice sessions, teams had half an hour exclusively for their additional drivers to give them some miles ahead of the Pirtek Enduro Cup, which kicks off at Sandown in September. While DJR Team Penske’s Tony D’Alberto sat atop the totem pole for much of the session, Le Brocq fired with three minutes remaining, recording a 1min11.0412 lap. Another Dunlop Series star, James Golding, popped into second position at the end of the session, 0.2 seconds adrift of his rival in James Moffat’s Volvo. 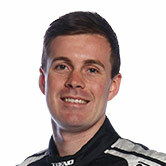 Golding has not officially been paired with one of the GRM drivers yet. Le Brocq has had a bit to learn while driving the main game Supercar, but believes he and Waters will be strong at the enduros. “It’s a little bit different with the twin spring but I’ve adapted well and these guys are awesome,” he said. D’Alberto came home third (driving with Pye), with Steven Richards (Craig Lowndes) and Macauley Jones (Tim Blanchard) completing the top five. Up-and-comer Garry Jacobson had his first run in a main game Supercar and finished eighth. The main drivers jump in for practice now.